Investing through online stock brokers is beneficial for many reasons. These platforms offer maximum convenience, allowing investors buy or sell stocks anywhere, including Forex online trading. Unlike traditional brokers, online brokerages charge a flat fee per transaction. Without up-front or hidden charges, they make investing cost effective for investors. Moreover, registering for online brokerage services gives you full control over trading decisions. Due to so many benefits, most modern investors are turning towards online investing through brokerage platforms. However, selecting the right online broker requires both research and caution. With the aim of simplifying selection process, the best online stock brokers have been covered in this post. Charles Schwab is one of the best online stock broker services for retirement in particular. Their services cost just under $5/trade, which is comparable to other top online stock brokers. However, this company also provides additional resources for investors. You can gain access to extensive research that support their investment opportunities and dividend index funds choices. Charles Schwab also provides incredible customer services as well as industry leading market reports. If you want to use an online broker with the best additional services in the business, consider Charles Schwab. TD Ameritrade presents an array of investment choices including bonds, stocks, options and mutual funds. By opening an account with them, investors get access to more than 100 commission free ETFs selected by Morningstar. TD Ameritrade’s feature loaded trading platforms, Trade Architect and thinkorswim, make online trading much easier. Moreover, objective third party research and 24/7 professional support enables investors make profitable investing decisions such as buying Intuit stock. Above all, transparent pricing and no account minimum have established its reputation as a leading online stock broker. OptionsHouse’s fully customizable trading platform enables investors enjoy superior trading speed and control to invest in small cap stock or many other stock options. This online broker charges just $4.95 per trade, increasing the profit margin for investors. Plus, its innovative analytical tools like strategySEEK and trigger alerts keep them updated on latest stock news. Most importantly, no minimum balance, no penalty maintenance and lowest options contract fee makes it the preferred choice for online trading investors. Informing investors about investment profitability, TradeKing provides thorough research for stocks, ETFs and mutual funds. Its fair pricing policy and no minimum deposit accounts deliver maximum value on investments. Additionally, robust trading tools like S&P Trading Reports, probability calculator, stock screener and profit calculator provide guidance to investors. Surely, TradeKing’s well connected traders’ network and excellent customer service have separated it from average online brokers. To enhance accuracy of investing decisions, Scottrade offers access to a well-equipped knowledge center. Investors can choose from its four innovative trading platforms according to their expertise level. This online broker devises portfolio solutions, meeting individual investment strategies of investors. All in all, Scottrade’s outstanding customer services and competitive fees structure improves their client’s return on investments without ever having to worry about risky penny stock investing. Another popular brokerage, Etrade has created three trading platforms to fulfill the investing requirements of both novice and experienced traders. If you have only participated in penny stock investing to date, this may not be the online broker for you. They offer over 80 commission free ETFs, from 3 fund families, without any annual fees. What’s more, superior features like analyst research reports, an online portfolio advisor, market commentary and retirement planning calculator supports your investment endeavors. Certainly, premier forex and future trading facilities have helped Etrade gain placement among best online stock platforms. Fidelity has been rated 4.5 out of 5 in online ratings of the online stock brokerage platform. This company has been lauded as the best online stock broker for order execution, international trading and email support. Fidelity offers stock options in energy automation systems companies and much more. Fidelity also has brick and mortar locations if you ever wish to talk to someone face to face. If you want one of the best online stock brokers available and cost is not of concern, consider Fidelity. 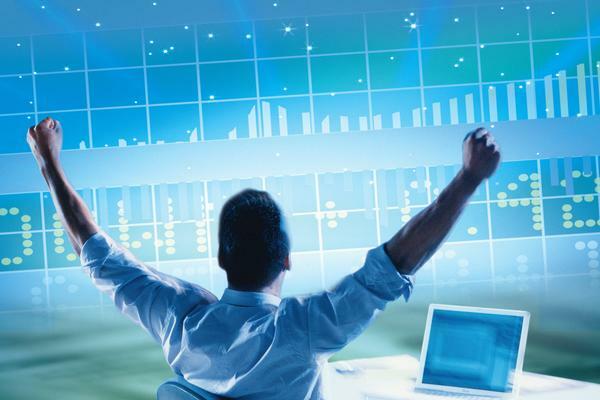 Opening account with established online stock brokers provides several benefits. While choosing one, consider important factors like pricing policy, account minimum and transaction charges. Next, analyze the convenience level and trading features available. Finally, evaluate level of customer support before making decision. Of course, trading with leading online stock brokers can increase your return on investment.